What would Ryan do? Would he keep properties after a development or would he sell them off for a lump sum? Hey guys! 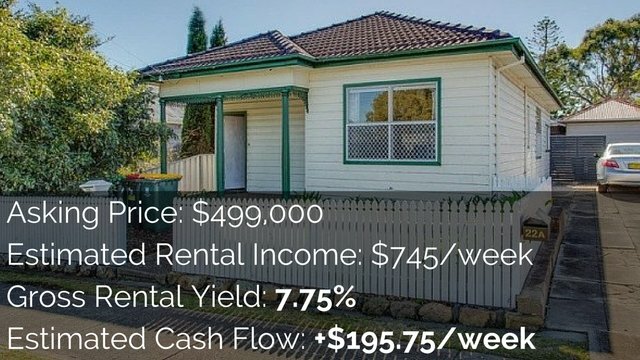 Ryan here from OnProperty.com.au, helping you find positive cash flow property. This is a new segment, new sort of episode, that I am starting, that I am going to run on weekends as I have questions for you guys. I am calling it WWRD or What Would Ryan Do. So if you send in your questions about your situation or your “friend” who has this situation and you want to think of, “Well, if Ryan was in this situation, what would he do,” then you can send it in. That is what WWRD is, which I will be doing on weekends. This is going to be, as you can see from the picture you are watching on YouTube, it is just going to be a bit of fun. Do not take this too seriously. This is not going to be personal advice though I will try and help you out. Obviously I will be talking about some things that I would do. I will probably be asking you some questions, giving you some things to think about rather than saying here is exactly what you should do. So we will talk about what would I do for my situation, and then we will talk about some things that you can think about because you are not me. You are not in your 20s with 3 kids, quit a 6 figure job to go and work for himself. I am a very unique fellow. I am also a vegan and homeschool my child. You are probably not the same as me, but we will still find out what will Ryan do, WWRD. If you want to send me some of your questions, you can do that. Just email me on Ryan@OnProperty.com.au, that is the easiest way to submit your questions. And just put in the subject line WWRD and I will know that it is for this segment. Today’s topic is a question from an audience member, whether they should keep or sell their properties after development. And so the way we are going through this is we are going to read through the email from them, and then I am going to go in and give my thoughts and stuff like that. You may need to bear with me as I do some maths as some of these questions do get quite specific. So, here is our question from Duval, and Duval, thanks for sending this in. I am just going to grab my notepad because I am guessing there is going to be some mass here. And Duval, just so you know, you inspired WWRD. This segment will not exist if it was not for you, so thank you very much! “I bought my principal place of residence in 2012 for $715,000. Let us go ahead and write that down, including stamp duty, which is a townhouse and probably worth $1 million today. I have also bought a house diagonally opposite for $740,000 with land on it, rent for $450 a week.” That seems like terrible rent for something that you are paying $740,000 for, I do not know why the rent is so low on that. Maybe it is in Sydney. I do not know where this is, but that is very low yield for a property. Anyway, rent for $450 a week. They have subdivided it, cut the existing house; built another townhouse at the back which will cost around $280,000 for the whole process including the DA. So it is subdivided and it is built, $280,000 in total. “If I sell a brand new townhouse, so this is the one at the back, the subdivision cost $280,000; then I would get around $750,000 to $800,000 for it.” So let us call that $750,000 if you sold it. “I have 4 options now. We are going to go through the options and we are going to think about them. Option 1: I keep all 3 properties, lived or unliving and put the other 2 on for natural cash flow; so in total, it seems like, ignoring our house which we bought ourselves because we all know we are not getting rent for it; just looking at this one investment property that has been subdivided and had another one built on it,” so you have spent in total, $740,000 plus $280,000 which is just over a million dollars for this thing. So basically, you could then rent it out. If you are getting $450 a week for the front, maybe – I really do not know about the area and how much you could get for the back, but maybe you could get $550 or something so you will be getting a thousand dollars. You would be getting 5% yield. I would like to think it was higher so it would put you in a positive cash flow position, but I do not know the area and why the yield is so low. So that is option number 1. “Option number 2: I would sell the existing property, so this is the one at the front, for $750,000 to $800,000.” Yes. “Put a brand new house on for rent and I will get $12,000 positive cash flow from that.” So $12,000, okay, we are assuming – I just have to get all these assumptions right; we purchased a property for $740,000, subdivided, put something on the back. The property we purchased, which is at the front of the block, we think it is still worth what we paid for it. That is $740,000. The property at the back, we only paid $280,000 for, and so that way, if we sold the front and negated that mortgage, we would then have $280,000 mortgage likely, property on the back; and we get some positive cash flow from that. That is option number 2. Option number 3: I move into the new house – the one in the back. I sell my principal place of residence for $1 million, but I do not pay any capital gains on it because I have just lived in it.” That makes sense, I get that. “I move into the new townhouse, sell my principal place of residence, do not pay any capital gains, and put both of the other properties on financial cash flow and I get $400,000 on my property in my pocket.” I do not know what you are saying here because you are saying “put both of other properties on for rent,” but you are also saying you are going to live in the townhouse. If you sold your principal place of residence then you would have to go and rent somewhere, if you want to rent out both of your houses. Otherwise you will only be able to rent out one house. And so in that situation, yes you have a whole bunch of cash in your pocket, but I do not see how that is much different from option number 2 because you are still in the position where you have sold one property, you need somewhere to live; so you are living in one and owning one, or you are renting and owning 2. And then, “Option number 4: sell the new townhouse, which I am building, but you have to pay a lot of capital gains tax on it, which I am not actually considering. So I want to know, as a property investor, what would you do? And I did ask a secondary question that was just saying what is your end goal,” and that was saying, “My end goal is to replace my income in 15 years and spend the rest of my life doing community work,” which is definitely applaudable; so a goal of $100,000 after tax. What would we do? I think it is very, very important to start with your goal, which is $100,000 after tax. So before tax, you are looking at like $150,000 in income because you are going to have to pay tax. That is totally rough guys; I am not doing any calculations on that. I am just estimating. If your goal is $100,000, or let us say, this is WWRD – What Would Ryan Do. My goal is $150,000 and I have these 3 properties, what am I going to do? Option number 1: keep all 3. I like that option if I can generate positive cash flow from the investment properties because then I have gone through all of this work. I purchased a property and I have done subdivision. I have created all of this equity in the property. I have also created cash flow in the property, equity that I could probably draw against in order to invest again if I had the income to do it, which I do not running my own business. I probably could not get equity to go again, seeing as I have already probably $2 million in debt or something at this point. But I do like option 1 where you keep all 3, so obviously you are living in your house, you are liking it; that I kind of see as a separate thing. That is something that you are living in, unless you are seriously thinking about selling and freeing up equity. You are going to rent and you are going to use that to invest. I just kind of keep the house separate. In my mind, I would like to pay down that house because it is non-tax deductible debt, and so pay that down if I can with just looking at the properties. So, live where I am living and put the other 2 on for natural cash flows. You have invested about a million dollars in this property with the subdivision and things like that. You are estimating that the property on the front is worth $750,000. I think there was a situation where you could sell the townhouse at the back and put $300,000 in your pocket, so that is kind of telling me you think the one at the back is worth about maybe $600,000, seeing as you paid $280,000 for it. So all up for that, we have paid $1 million and our property is now worth $1.35 million or something like that. So option 1 where you keep all the properties, if you can redraw equity and you can go ahead reinvest, maybe you want to go into a development if you enjoyed this, then that might make sense, so you could go ahead and reinvest. And there was another option where you sell the existing property at the front and put the townhouse on for rent. You get positive cash flow from that. If you do that, could you then take some of that money to go and invest again? So, the whole thing is if you want to achieve $150,000 in positive cash flow or in equity or whatever it may be, but you want $100,000 a year after tax; you are not going to get it from these 2 investment properties that you have, unless potentially they are completely paid off and you are getting good solid rent from them. The front one is renting for $450, I cannot imagine you get enough to achieve your goal. So it seems very unlikely that you are going to achieve your goal just on these 2 properties. So the thoughts that I would leave you with, the questions that I would give to you are: what is the best way for you to move forward towards your goal? If these properties are not going to generate enough positive cash flow for you to retire off, what is your best option so that you can go ahead and invest again and you can move closer and closer towards your goal? That might mean drawing equity from the property; keeping them and drawing equity so you can go ahead and invest again. Or it might mean something like selling the front property, paying down some debt on the back property, and so you have a positive cash flow there or a neutral cash flow there; and taking whatever is left and going and investing again. It just depends on your risk profile. I do not really know enough of the properties to say are they worth keeping or not, but it sounds to me like if you have done a development and if your valuations are correct and you are looking at $350,000 gain through doing the subdivision and development, why would you not rinse and repeat that? Do that a few times, do that every single year; $350,000 a year really adds up over time especially if you can get positive cash flow out of it as well. So for you, I would just say think about – okay, I have a goal that I want to achieve which is $100,000 a year after tax. What are my steps towards that goal? So, we have taken step 1 which is buying our own house, which hopefully you will pay off over time. The next step was to buy this property and do the development process. You have done that. Now, there is probably going to be steps 3, 4, 5, 6 before you achieve your goals. How many more properties, how many more developments you need to do to achieve that goal? You need to sit down and work out how much am I making or how much cash flow am I generating from these properties; work out how many of these do I need to do, and then decide on what is the best option for me so I can go from step 2, where I am at now with my subdivision property. What is step 3 for me? What is my next property purchase going to be? What is my next step towards my financial freedom? And then you can assess these options based on that. Okay, my plan is to move forward this way. The next step is probably going to be this. What is going to help move towards step number 3 as quickly and as easily as possible and not hinder me from going through to step 4? So maybe you want to keep both and you have enough equity and borrowing capacity that you can redraw and buy again, and that is going to get you to property number 3. But then maybe to get to property number 4, you are not able to borrow any more money. So maybe you have to sell a property in order to buy property 4 and 5 to free up cash, to lower your debt, etcetera. So, it is a game that changes all the time. Obviously, valuations are constantly changing. Mortgage rates are constantly changing. 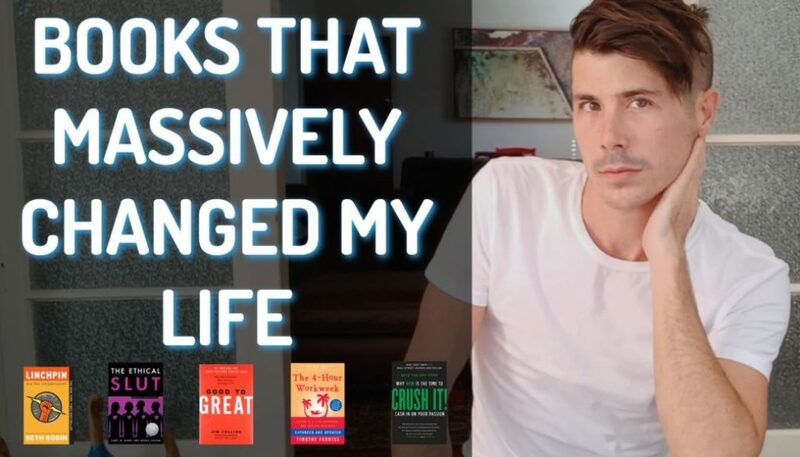 Your goals and your lifestyle goals are probably changing over time as well. But that would be my thoughts. I am definitely a fan of option 1, keeping the properties if you are going to get positive cash flow for it. Option 2 could also be good. I do not understand why you want $400,000 cash in your pocket. What are you going to do with $400,000 in your pocket? You got to have really big pockets, yeah. And your pants are going to look extremely strange because you have $400,000 in cash in your pockets. But in all seriousness, what are you going to do with that $400,000? What are you going to do with that $300,000 or $200,000 after you pay for capital gains tax? What are you going to do with that money and again it is the same sort of assessment? Where do I want to be in the future? What are my next steps going to be? Is having $400,000 cash in my pocket going to help me take that next step and get me towards my goal faster? Is having $200,000 cash in my pocket going to move me towards that faster? You just need to look at all of these. You need to talk with your broker. You need to assess how many properties do you want to buy, what is your plan. You need to look at what is going to help you get towards that. So, thank you so much Duval for inspiring WWRD. I hope that this was helpful for you. If it was me, what would Ryan do? 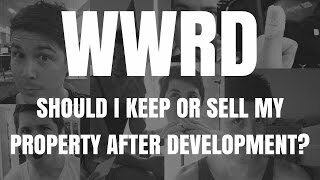 Ryan would do option number 1 and try and purchase another property, maybe do another development as well because it seems to be so successful for Ryan. Ryan might also consider property number 2 to get positive cash flow and then might go again. 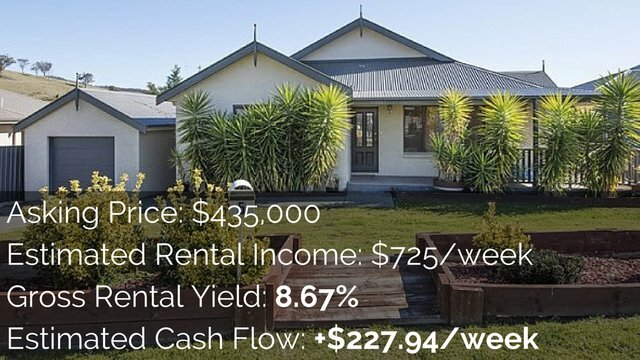 That could be a really cool strategy to rinse and repeat: buy a property, subdivide, sell the front, have a low debt property that is positive cash flow at the back, go again. 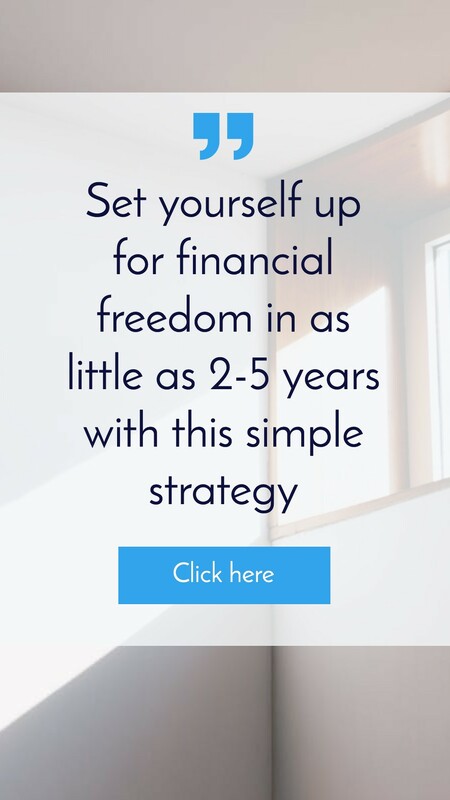 That could be a really cool strategy for you that I could see being able to repeat over and over again because you are not getting excessively in debt. And then option 3 and 4, I just questioned why you would want that cash and what you want to do with it. Is it going to be better than something you could do without selling off your house that you live in and stuff like that? There we have it! Thank you Duval for writing in and for giving us your question and inspiring this segment, WWRD. 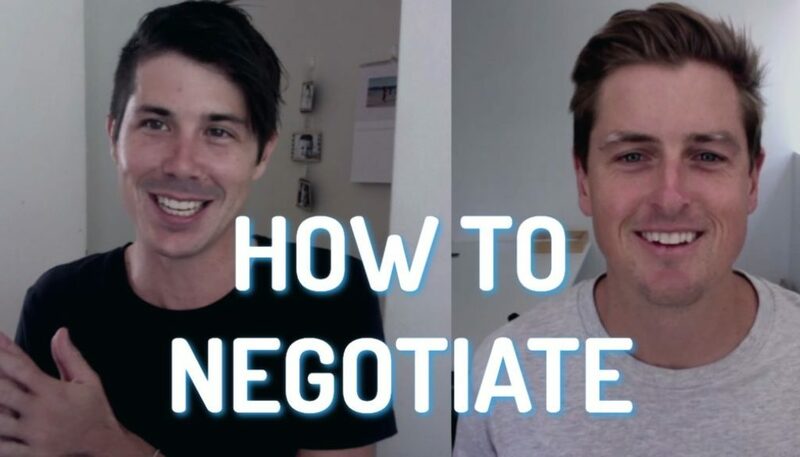 Again, you guys can submit your questions if you want them answered to Ryan@OnProperty.com.au, and I can talk about your situation what would I do and we will have a bit of fun on the weekends with this little segment. I am also starting to interview more and more of my audience members, so if you want to tell your story, On Property gets over a hundred thousand people a month view these episodes, the blog posts, the videos, etcetera. So if you want to tell your story to thousands of people, you want to share your successes, your property journey, please get in contact with me, Ryan@OnProperty.com.au. We would love to have you on for an interview. Otherwise again, you can submit your questions there as well. This has been another episode of WWRD, What Would Ryan Do? And what would you do? I do not know what you would do. I do not know who you are, but that is my opinion. And that is not a financial advice, it is just my opinion. That is it for me today, until next time, stay positive! When Is The Best Time To Sell Your Property? 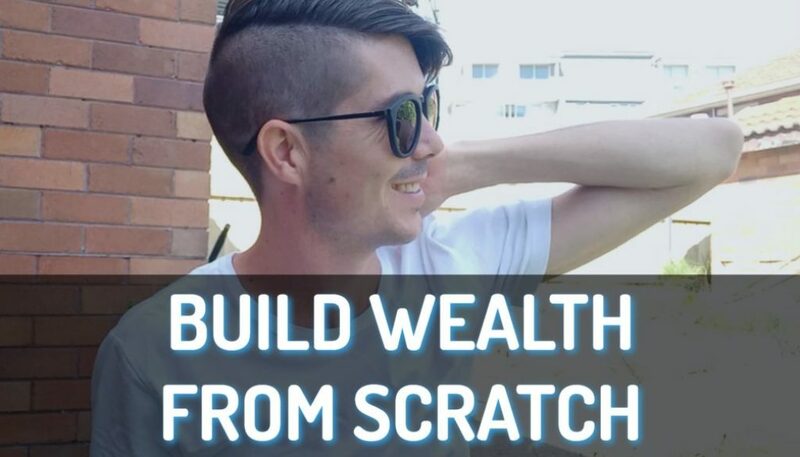 With Ben Everingham	How Should First Time Investors Get Started?